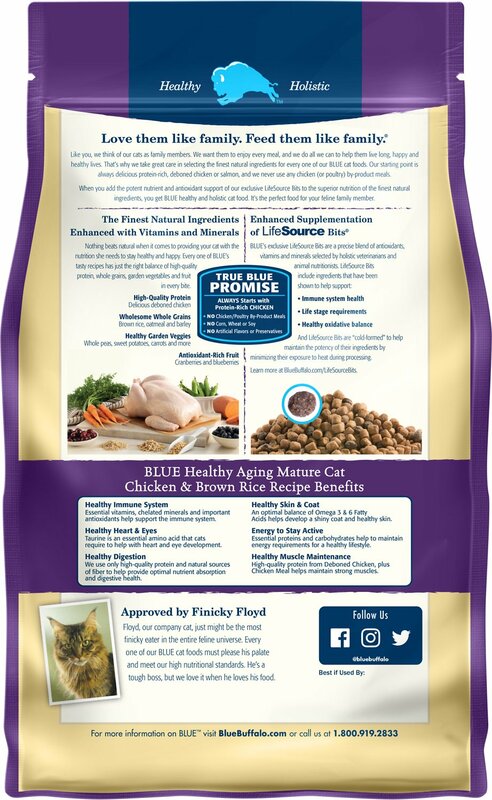 Feed your mature kitty the healthy holistic nutrition of Blue Buffalo Healthy Aging Chicken & Brown Rice Recipe. Made with deboned chicken, chicken meal and l-carnitine to help develop lean muscles and help maintain ideal weight. Enhanced LifeSource Bits with Super 7 antioxidants adds a unique blend of vitamins, minerals and superfoods to support immune system health, life stage requirements and a healthy oxidative balance. It contains a mix of omega 3 and 6 fatty acids to help promote a shiny coat and healthy skin. This exclusive formula also contains taurine, an essential amino acid to help maintain heart and eye health. Plus, it has high quality protein and natural sources of fiber to help provide optimal nutrient absorption and digestive health. This holistic weight-control formula will help your cat achieve his ideal weight, and stay there. 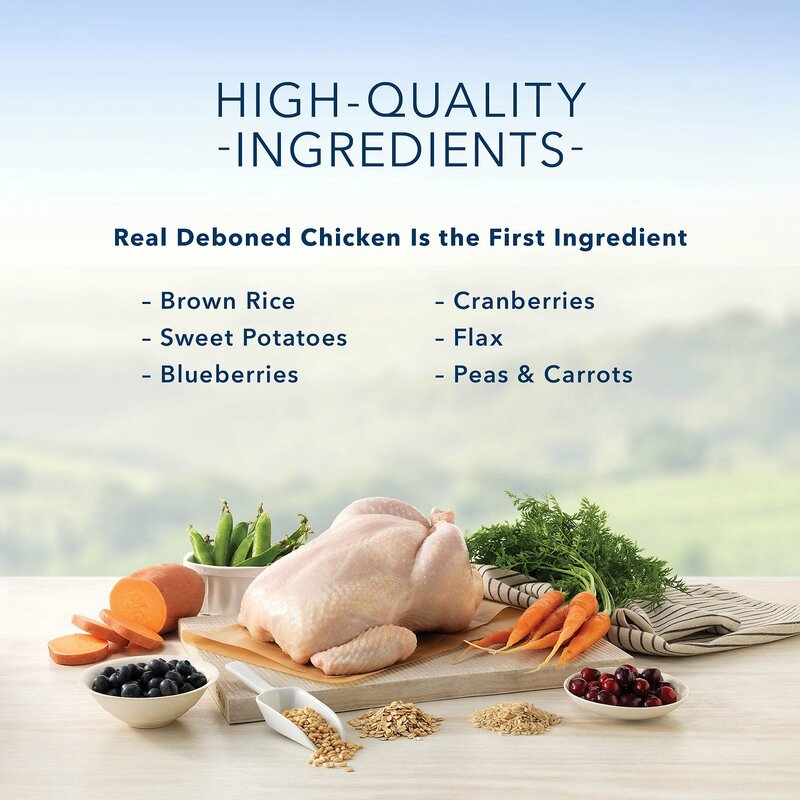 High-quality deboned chicken, chicken meal and l-carnitine for lean muscles, weight control, plus fiber for nutrient absorption and digestive health. The perfect blend of vitamins, minerals and superfoods are added to create the unique LifeSource Bits with Super 7 antioxidants. Carefully balanced omega 3 and 6 fatty acids for shiny coat and healthy skin, plus taurine for heart and eye health. The healthy holistic formula supports immunity, life-stage requirements and a healthy oxidative balance. Exclusive weight-control recipe does not contain by-products, corn, wheat, soy, artificial preservatives, colors or flavors. Healthy Skin, Coat and Immune System: Omega-3 and 6 fatty acids help maintain healthy skin and shiny coats for mature cats. Essential vitamins, chelated minerals and important antioxidants help support the immune system. Maintaining Healthy Muscles: High-quality protein from deboned chicken helps maintain strong muscles. Energy to Stay Active: The right balance of essential proteins and complex carbohydrates, chosen with great care by animal nutritionists, helps mature cats maintain their energy requirements for a healthy lifestyle. He had the hardest time trying to eat this stuff. My cat Sunny is 16 years old, he's almost completely blind and is battling cancer. Do you understand how heartbreaking it is to watch your pet try so hard to eat, only for him to give up and walk away from the bowl because he just can't get a bite? Now whenever I put this in front of him, he gives me this look that tells me, "Why would you give me something I can't eat?". I just don't understand why you would make these pellets so small? The size works for kittens, but not for adult cats. Never buying another product from these guys again. It always takes a while for my 14 year old cat, Oscar, to adjust to a new brand of food, so once we find a good one, we stick with it. A few months ago, though, I was given the remainder of a bag of the Blue Buffalo Healthy Aging Chicken & Brown Rice Mature Cat Dry Food from my brother. I put a dish of it out next to the dish of Oscar's long-time favorite food, figuring I could test which one he liked better. He hasn't touched his old favorite food since and we have fully switched to Blue Buffalo Mature Cat Dry Food! Safe to say Oscar gives it 5/5 stars! Instant love for 6 year old shelter kitty. I just adopted a 6 year old cat from a shelter, and know that she has had a rough start in life. I wanted to give her food I could feel good about and help her get healthy, but knowing that she has probably been eating a big mix of food I was not sure if she would accept a healthy one - But she Loves It!! Now we can both feel good about dinner time. My cat started being picky so one of the specialist at Chewy recommended I try an adult cat food. I choose a few this being one of them. My guy Luciano Loved it!! He ran over to the bag, knocked it over. He loves loves Loves it. My 18 year old cat, Stella, wouldn’t touch it. Literally, she wouldn’t even try it. She wanted the kitten chow back in her bowl! So now she’s eating regular cat chow, and she’s happy. My cat Maxx really enjoys this cat food! The pieces are small and easy to chew and he must enjoy the flavor. I ordered this for my outdoor cat that is hungry all the time and will eat anything. She will not eat this at all. The stray cats in our neighborhood that come around won't eat it either. Both of my cats are seniors and are very picky eaters. They would prefer to eat only wet food but I know they need dry to keep them healthy and their teeth clean. I have tried a variety of dry foods and I recently tried Blue Buffalo. They love it! 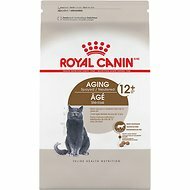 I recently switched my 8 year old cat to this dry cat food and it has been great. She is fuller longer and no longer begs at her bowl. It was just the change she needed. 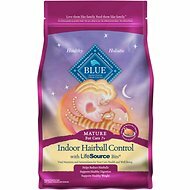 My Cats Love This Blue Buffalo Food! 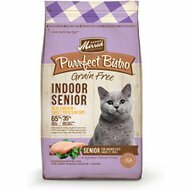 I refer to this as their "old people cat food" & I hope it's not too bad for them, but my younger cats love this, too! Definitely recommend for the most finicky of cats! And they're staying healthy, as well!